The shearling (sheepskin) coat is one of the classic pieces of outerwear you’ll be seeing on a lot on this fall/winter season. Apart from the coolest uniform jacket of Second World War aviators, shearling jacket has been adopted by many brands to bring classic aesthetic, extra warmth, better functionality and added detail to a whole new range of jacket and coat styles. Today, we are going to show you the different types of shearling jacket since the civilization of Europe and how to style them. What Is A Shearling Coat? Shearling coat is made from the real skin of a sheep or lamb with tanned suede or leather material on one side, and the treated coat with a soft wool left attached on the other side. The process of treating it can make both leather and animal hides extensively expensive, that’s the reason why a good shearling coat can cost you upwards of $1,000. It’s steep, but sheepskin jacket is a timeless fashion outfit and it’s an investment you’ll carry with you for a lifetime. If cost and ecology play a bigger part in your decision making, then it is no harm to consider an imitation. Faux shearling is more affordable than sheepskin, but quality should be counted into your consideration as well so that it can perform wonderfully in the freezing temperature. The first jacket that we’d like to start is denim sherpa jacket. Sherpa lining is similar to real sheep’s wool but Sherpa is made from polyester, acrylic, or cotton which is much lighter, much less bulky, and faster drying. The deep indigo of denim is the casual fashion staple in every guy’s wardrobe, the fabric makes it more versatile and the shearling collar just adds a distinctive detail to it. Never afraid to go for double denim. A pair of black jeans and a dark blue denim sherpa jacket with a clean white sneaker will create a casual look perfect for a Sunday stroll. If double denim is not your favorite fashion style, you can always go for a pair of sand chinos instead. A leather jacket is the timeless fashion staple that you should invest at least one in your capsule wardrobe. 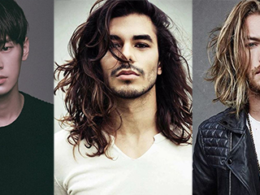 It is perfect for covering up any outfit, from casual white t-shirt to toning down more formal attire. 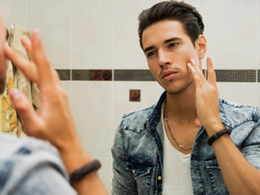 The most classic way of wearing a leather jacket would be a white t-shirt or sweater as the inner layer and a black skinny or ripped jeans with a pair of sneaker. If you’re looking for a more formal style, pair it with a polo shirt and wool suit pants with a pair of suede Chelsea boots. Both of these styles will give you the most splendorous sartorial look perfect for your workday. 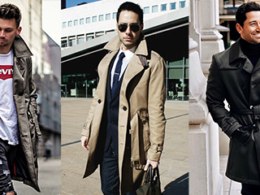 Suede shearling coat might not be a good choice to be worn somewhere which has too much rain during winter. The napped surface of suede is hydrophilic and will attract moisture into the leather. For the same reason, any dyes or pigments that have been applied to the suede are likely to fade or run when subjected to a lot of water. In addition to this discoloration, the suede may shrink noticeably when it dries. However, when you realize how warm and wind protective they are, you might change your mind. 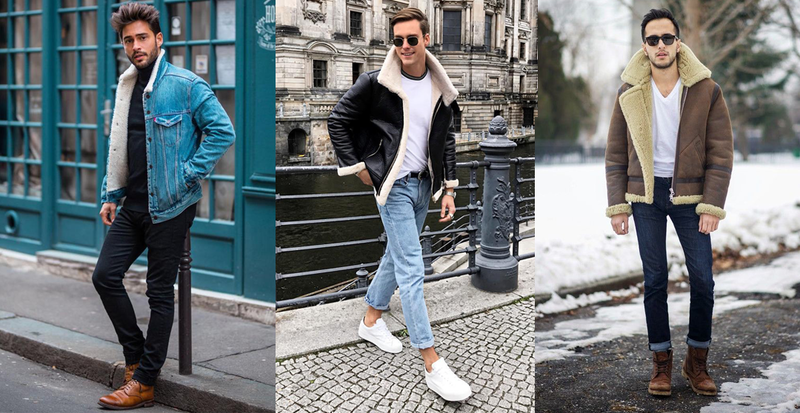 The best way to style a suede shearling jacket is to pair it with a white t-shirt, blue jeans and a nice pair of white sneaker or Chelsea boots. One thing to note is that suede jacket should not be wear during the raining day and requires extra care on it. Bomber jacket is originally seen in the wartime, and today this heavy-duty aviator jacket has evolved into the most famous outer pieces of all time. Adding a shearling collar on a bomber jacket gives you all sorts of stylish look while still keep you warm during the cold months ahead. This jacket has then become the most practical winter coat that is easy to style, highly durable and given a retro shape, this will be a regular in your wardrobe for years to come. The most stylish way to style a sheepskin bomber jacket is to pair it with a white t-shirt/sweater or a checked shirt, blue jeans and a pair of winter boots. If you want to create the heroic aviator style, get a nice pilot sunglasses and a pair of black leather gloves. The most common shearling jackets are bomber and aviator’s styles, but you can also find the same shearling details in truckers jackets, bikers and shearling overcoats. If you have to attend some smart events and formal meeting during winter, choose the classic brown suede shearling peacoat with a white t-shirt/sweater underneath, blue jeans and a rugged boots. Shearling outerwear tends to work best with a casual look. 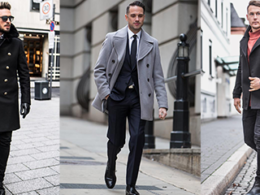 If you have to pair it with a full suit, make sure the shearling coat you’ll pick is an overcoat style. 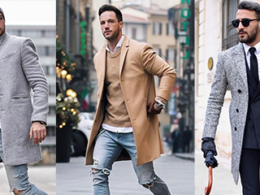 We often have a thought that using words to describe men’s fashion style is quite difficult, this is why we’ve curated some fashion style pictures from many famous influencers to show you how to style a shearling jacket. Please click next button or slide left using your finger if you’re on mobile.